She is Lola the wonder dog, a four-year-old German short-haired Pointer and she is on the front line of the UK’s war against illegal immigration. Lola and handler James Niven are the dynamic duo of the battle with almost 500 immigrants detained thanks to Lola’s super-sensitive nose. 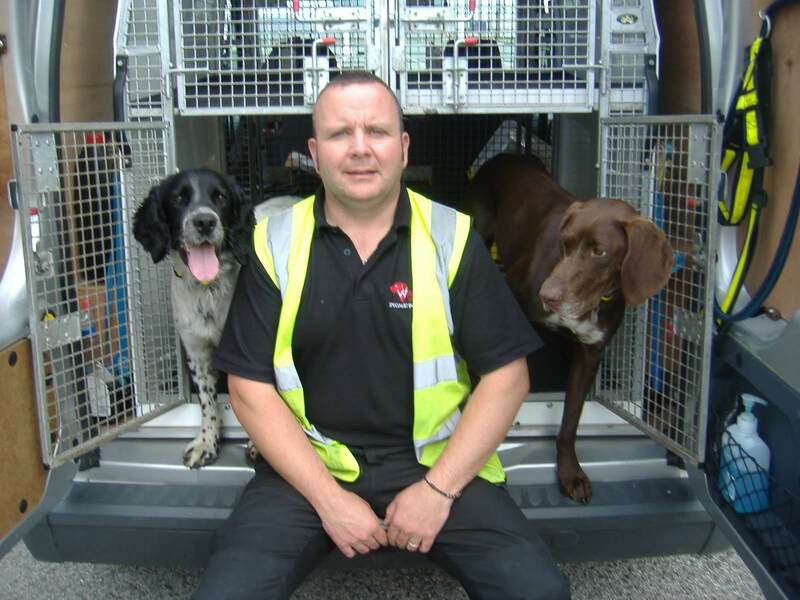 The pair, from Flintshire detection dog company Wagtail UK, are one of the top guns of the UK Border Agency’s fight against the human tide of displaced people trying to cross the Channel from France into Britain. But just two years ago Lola was a family pet at a pub near Preston whose owners decided she had what it takes to be sniffer dog and offered her to Wagtail UK boss Collin Singer. James, 37, from Bridgend, in South Wales, a former RAF Police dog handler said: “Lola just has a phenomenal nose on her." “We were checking lorries at Calais and she was 14 lines of lorries away from the truck she was indicating. We checked and it was full of wheelie bins but she was indicating the front right hand corner and inside one of the bins there was a man – she had picked up the scent from over 100 feet away. The most she has ever caught at one time is 17 in a container of dog food – even that didn’t put her off. You find them in the containers but you also find them lying on top of the axles of lorries but if they’re there Lola will find them. We just have such a good connection and you need that in detection dog work. She knows what to expect from me and I know what to expect from her." Lola is one of two dogs that James uses in the Channel ports where he is based with other Wagtail UK staff and dogs employed by the UK Border Agency.